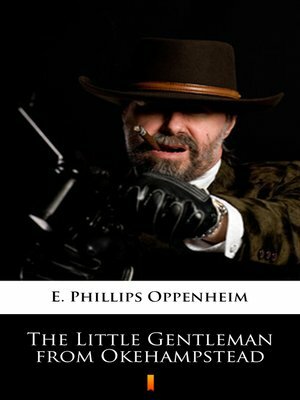 „The Little Gentleman from Okehampstead" is a collection of connected stories about Mendel Honeywood, a diminutive insurance agent who skips out on his family and his hometown of Okehampstead, Massachusetts, and arrives in England, without a cent, to enter into a life of „crime". He meets up with James Van Clarence Smith, disinherited scion of the wealthy American millionaires, and Lady Felicia Lakenham, upper-class, with a very small income. These three engage in somewhat shady adventures in the art world, politics, and international finance, as they seek to make their fortunes. It's all great fun and Oppenheim keeps the action moving along swiftly, as he always did. If you haven't discovered the joys of Oppenheim's mysteries there is a good place to start.